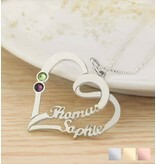 We have found the perfect gift for mothers, the Heart Necklace with Two Birth Stones! 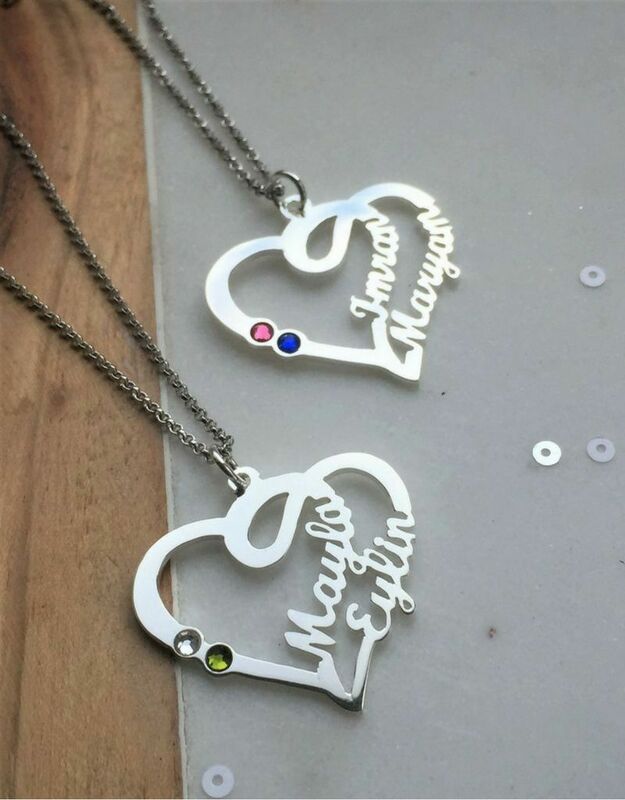 With your children's names incorporated into it, you always carry your children close to you. 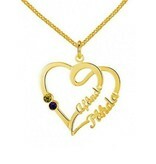 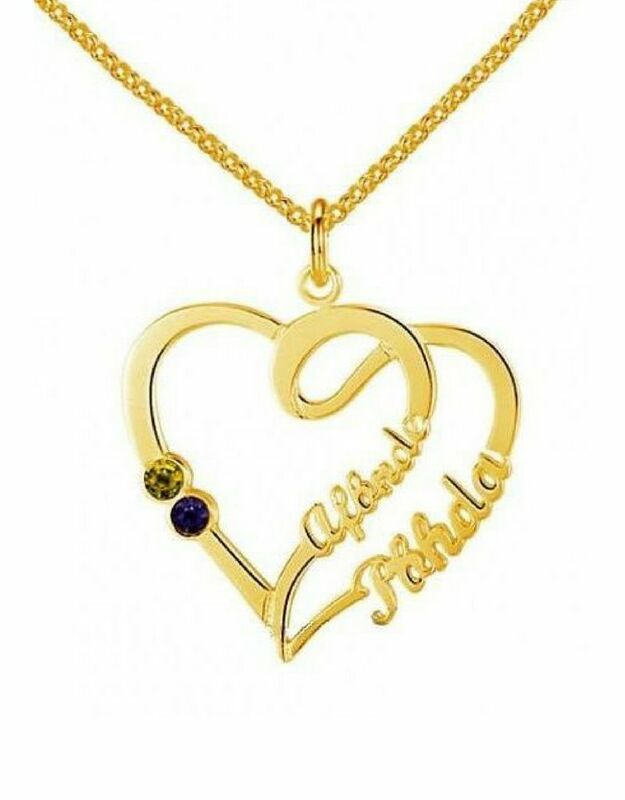 ♥ This necklace is made of 925 silver and finished with a genuine gold layer. 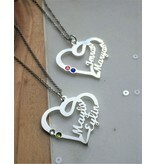 ♥ Including chain (size of your choice). ♥ Choose the stone that matches the birth month (or a color you like). ♥ The perfect way to keep your family close to their hearts. 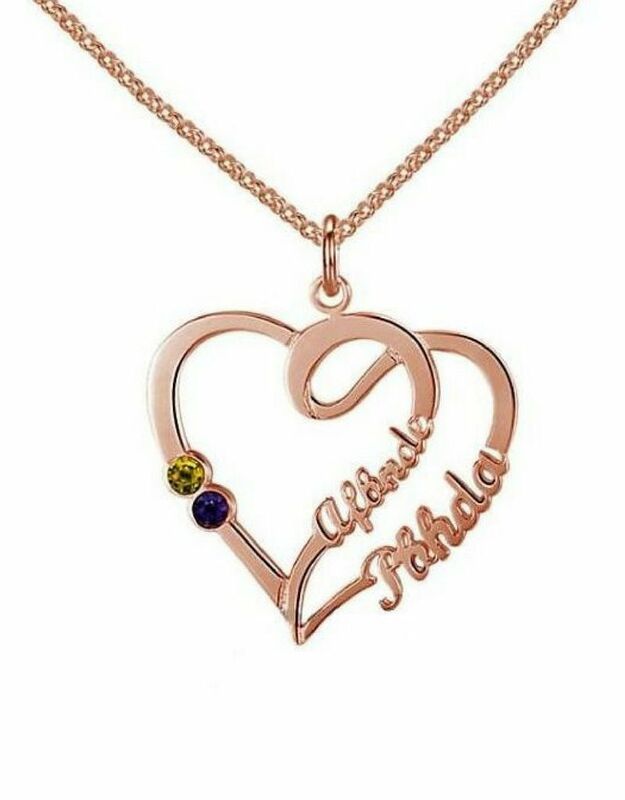 ♥ Up to 9 characters per name.